M Series with digital clock. 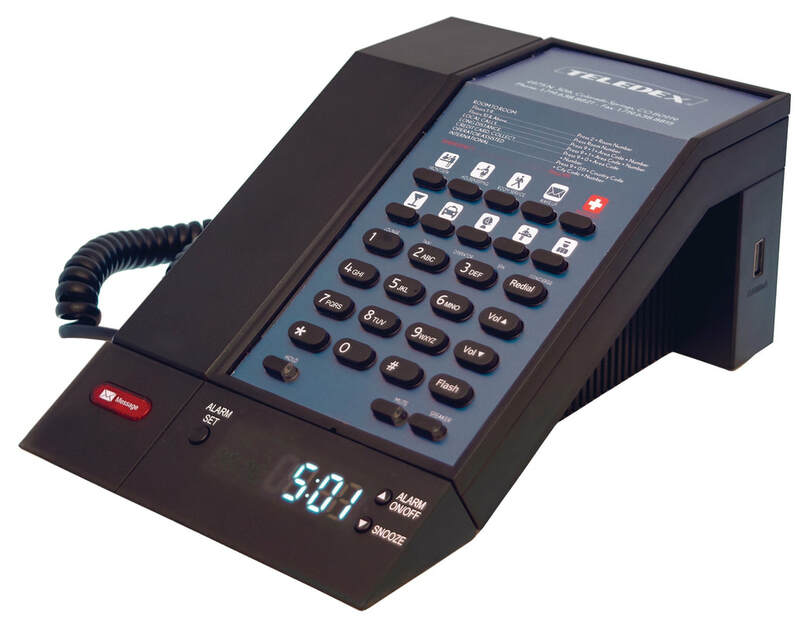 Teledex M Series phones are now available with an optional digital LED clock upgrade, and remote clock programming device. Choose analog corded or cordless configurations with USB charging ports on both the phone and RediDock remote handset kits that support guest smart device charging. Click here for M Series product details, or complete and submit the form to request a quotation. Complete the form to request a quotation.